SALLY WEINRAUB is a highly unusual debut author. 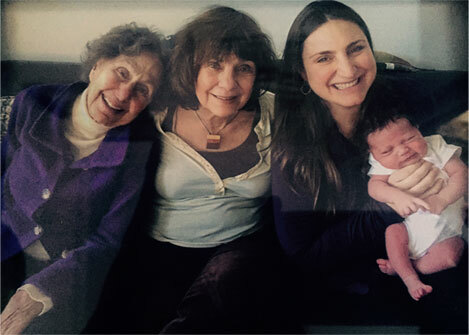 THIS APPEALS LAWYER, RAISED IN ENGLAND, HAD A "SWENEY" IN BROOKLYN AT 20 AND AT 95 IS PUBLISHING HER FIRST 4 COZY MYSTERIES! A native of Manchester, England, Sally came to the US during World War II and married and had four children. Then she went back to school, graduating first in her class at Manhattanville College. 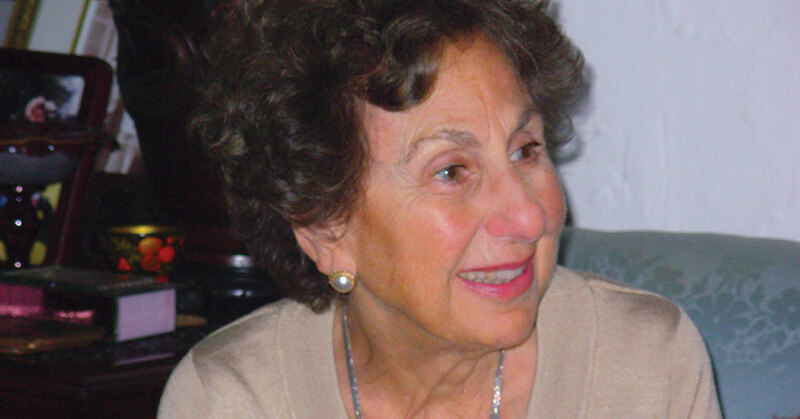 At age 50, at her husband’s urging, she went to Brooklyn Law School, where she made law review and moot court. Afterward, she worked as an appeals lawyer for some thirty years. Then Sally retired and began writing mystery novels. She was unable to get an agent or publisher for her first book, but she kept on writing. 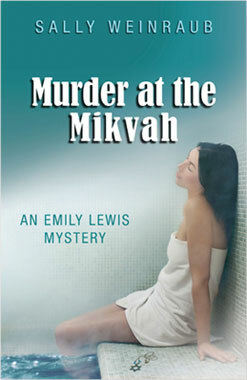 Now she has written four delightful cozy mysteries featuring the British-born sleuth Emily Lewis, an appeals lawyer. 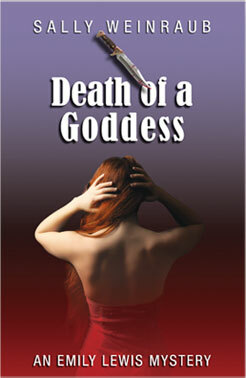 In her relentless quest to unmask murderers and free the falsely accused, Emily often stumbles into danger herself. Her British reserve almost obscures her passionate nature. 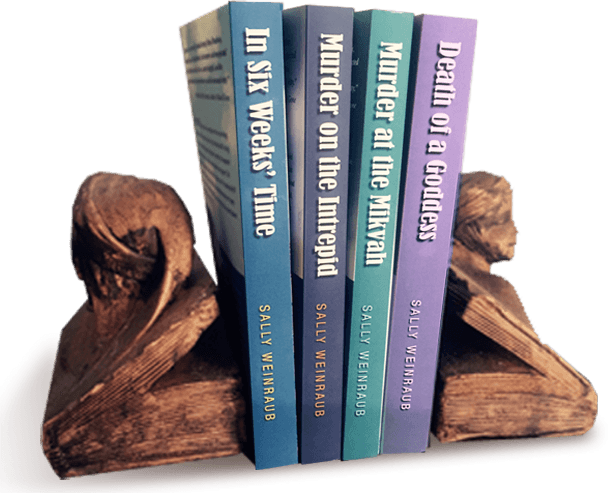 Sally made her literary debut in March 2016, publishing this quartet of mystery novels just in time for her 95th birthday! In March 2016, Sally proudly launched the career of Emily Lewis with these first four novels, just as the author celebrated her own 95th birthday. Sally’s story of indefatigable persistence is highly inspirational. And the books will keep you up way past your bedtime! 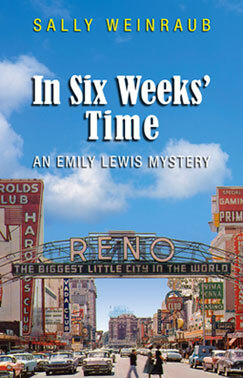 In 1964 Emily Lewis seeks a divorce and goes to Reno for the required six weeks’ stay. She expects to be lonely and bored but is surprised by the camaraderie of the guesthouse residents, also awaiting their papers. The seeming idyll is shattered by a murder. When Inspector Reeves asks Emily to watch her fellow guests, she unwillingly agrees to help and is drawn into a complex and dangerous web. In 1982, the U.S.S. Intrepid arrives in NYC as a war museum. The carrier’s old shipmates hold a reunion on the ship. Daniel Frey, a WWII veteran, travels from California for the reunion, hoping to retrieve a lost memory. When Dan is discovered standing over the dead bodies of two skinheads, he is arrested and found guilty of murder. Emily and her new boyfriend Sid, a private eye, expose the real killer. Before a packed audience, Raymond Stark furiously stabs his glorious leading lady and ex-lover, Elena, with a fake knife. She rises to take her bows but is later found stabbed to death backstage. Raymond is arrested, and his friend, Lou Massey, and girlfriend Emily agree to investigate. They collide with a gang of jewel thieves and Lou is almost killed before apprehending the true villain. Hannah, 17, is about to be married to an older businessman when she is accused of murdering her young lover at a ritual bathhouse in Brooklyn. Appeals lawyer Emily and private eye Sid set out to prove her innocence. But Hannah falls into the hands of a criminal gang, and Emily, searching to free her, is almost too late. 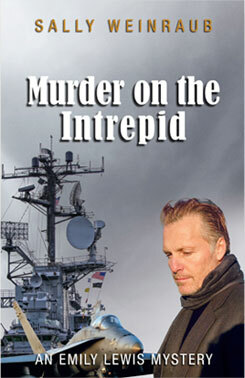 When the murderer’s identity and motive are revealed, it’s a searing surprise.